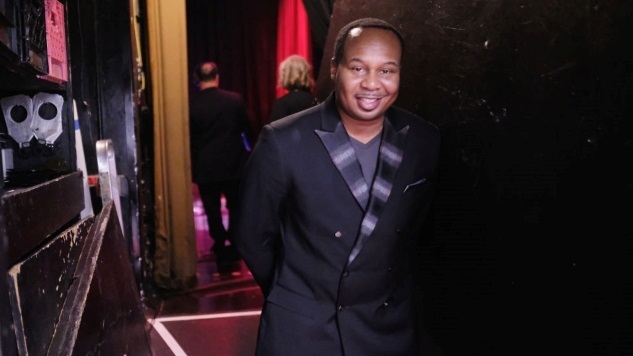 Photos courtesy of Getty Images Comedy Features Roy Wood Jr.
Roy Wood Jr. might not be the host of The Daily Show, but for our money he’s been its breakout star since Jon Stewart left the show in 2015. It helps that the busy comedian from Birmingham, Ala., keeps his schedule full with other Comedy Central assignments—it keeps him in the public eye and lets him show how versatile a performer he is. His latest stand-up special, No One Loves You, premiered on the network in January, and since 2017 he’s hosted the channel’s storytelling show, This Is Not Happening. We’re pretty sure Wood’s the best thing to ever come out of Birmingham’s FM morning radio scene. Wood took a break from all that work to speak with us at SXSW earlier this month, where he discussed The Daily Show’s traveling library of Trump tweets and why he’s afraid of renting cars and eating take-out. Check out his conversation with Keri Lumm below, and watch Wood on This Is Not Happening on Comedy Central tonight at 11 p.m.